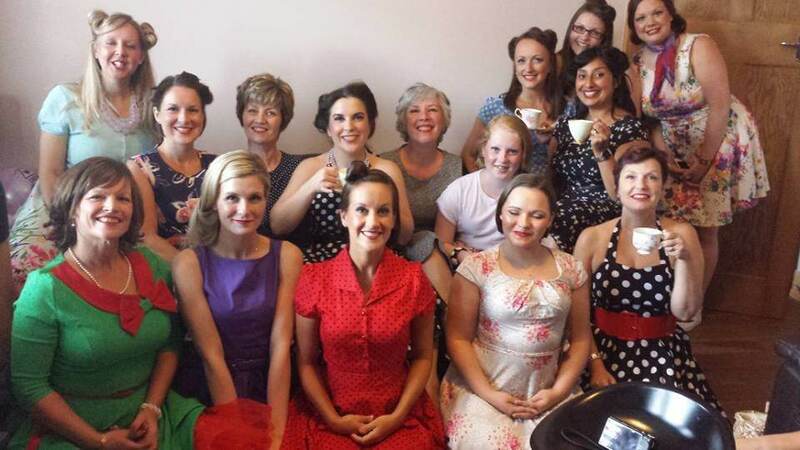 These beautiful vintage style ladies know there are so many reasons to have a vintage party! Why not have a baby shower with a vintage makeover party theme? Or a leaving party with a twist? A 40th birthday treat? A house warming get together? We at Bijoux HQ believe that we can make your event super special, whatever you are celebrating. We also know that us girls will do anything to get glammed up and pampered! The beautiful ladies in the photograph enjoyed one of our party packages recently and now, not only do they have the expertise to recreate the look, they will take away some life long memories of a happy day.